Patient-centered resources from top healthcare organizations and Coalition to Improve Diagnosis members, including symptom checkers and checklists. Ask Me 3, developed by the Institute for Healthcare Improvement, is an educational program that encourages patients and families to ask three specific questions of their providers for getting the right diagnosis. Lab Tests Online, a program of the American Association for Clinical Chemistry (AACC), is a health information web resource to help patients and caregivers understand the multitude of lab tests that are a critical part of medical care. The National Breast Cancer Foundation outlines breast cancer diagnosis and diagnostic methods, guiding patients towards better breast health awareness. The American Heart Association/American Stroke Association resource, Let’s Talk About Stroke, walks patients through how stroke is diagnosed, types of testing, and additional resources on the topic. 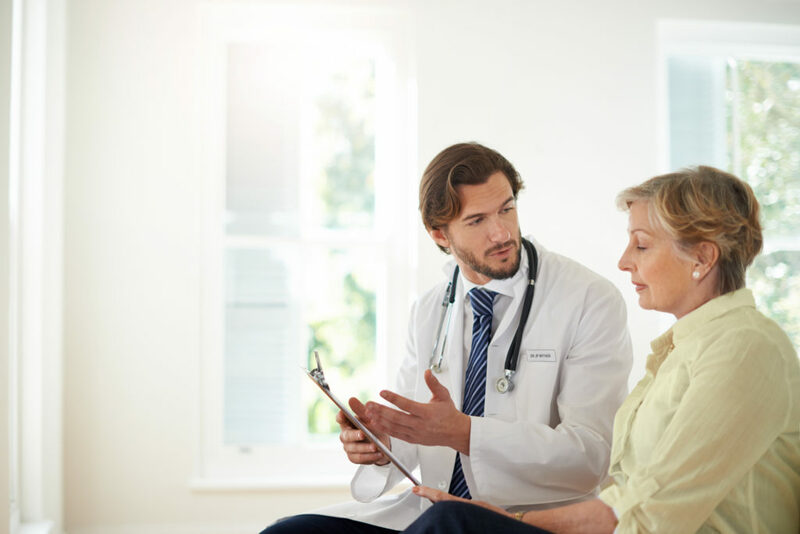 The National Cancer Institute at the National Institute of Health (NIH) walks patients through the ins and outs of a cancer diagnosis, highlighting staging, research, and questions to ask your doctors. Lymedisease.org provides patients with the facts and a symptom checklist to help document exposure and track symptoms. WomenHeart’s Education Module, Cardiac Diagnostic Testing: What Women Need to Know, features handouts, videos, and a host of knowledge to active patients in becoming self-advocates. According the Centers for Disease Control and Prevention (CDC), 80 percent of strokes are preventable. Download the stroke fact sheet and learn what you can do to prevent stroke. The Checklist for Getting the Right Diagnosis, developed with the Cautious Patient Foundation and National Patient Safety Foundation, teaches patients how to become a partner in finding the right diagnosis. The Agency for Healthcare Research and Quality (AHRQ) compiled a list of questions for patients to ask their providers to build trust and ultimately lead to better diagnosis. Choosing Wisely, an initiative of the ABIM Foundation, outlines five essential questions that patients should ask their doctors before testing, treatment, and procedure. After developing the seminal report, Improving Diagnosis in Health Care, the National Academy of Medicine (NAM) consolidated a list of tools a from top organizations to help patients effectively engage in the diagnostic process. The American Heart Association (AHA)’s resources on diagnosing a heart attack walks patients through testing, types of diagnosis, and questions to ask your doctor. Second opinions can help confirm diagnoses or provide alternative explanations for health problems. The Patient Advocate Foundation outlines the benefits of second opinions as part of their It Matter Empowerment Pathways content series. The American Heart Association/American Stroke Association’s FAST acronym helps patients quickly point to stroke warning signs and provides information on the additional symptoms of stroke. Mayo Clinic’s Symptom Checker allows patients to point to symptoms, select related factors, and view possible causes. The American Cancer Society framework to finding cancer early helps patients understand screening guidelines and the types of tests commonly used to diagnose cancer. Take a deeper look into the symptoms and diagnosis of MS with a host of resources developed by the National Multiple Sclerosis Society. The Center for Disease Control and Prevention’s Get Ahead of Sepsis campaign provides patients with educational resources to help prevent sepsis or spot it early when it happens. The National Kidney Foundation lays out some helpful topics to discuss with your doctor at your annual physical, including questions to ask and medical tests to discuss if you’re at risk for kidney disease. The National Institutes of Health (NIH) Undiagnosed Diseases Program (UDP) looks at longstanding medical conditions that elude diagnosis by a referring physician. The Society to Improve Diagnosis in Medicine (SIDM) does not directly endorse any of the resources listed. These tools should be used for informational purposes only and not be substituted for professional medical advice. To help encourage patient engagement, the Society to Improve Diagnosis in Medicine (SIDM) has developed the Patient's Toolkit, a resource for patients, by patients.